Since june 2016, Civil Engineering Infrastructural Journal (CEIJ) has started to use plagiarism checker for the quality of all submitted articles in review process; once a paper is reviewed before any decision and editorial board meet, we shall provide full report from PlagScan to assist us to judge and make correct decision. Based on recommendation the results would be shared with authors for revision and improving the quality of publication in CEIJ. For any submitted manuscript with plagiarism level greater than 20% is automatically rejected. Manuscripts submitted to CEIJ should be original and must not be plagiarized. 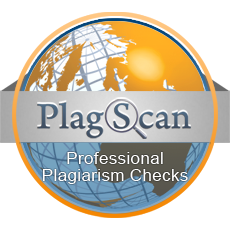 Even reviewed article before any final decision is checked for plagiarism through PlagScan data base. In fact CEIJ's board members welcome international publishers to provide special services for improving internationalization and help us to get perfect global impact and publicity.